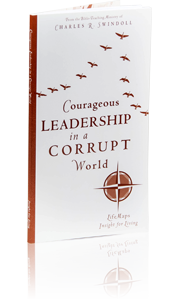 The following resources are available online at the Insight for Living Ministries BookShoppe. 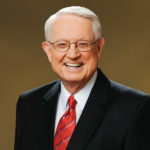 Nothing captures an audience’s attention like a well-told story—and nobody tells them like Chuck Swindoll! You’ll quickly find the perfect anecdote in this cross-referenced resource featuring more than 1,500 entries in a handy topical format. 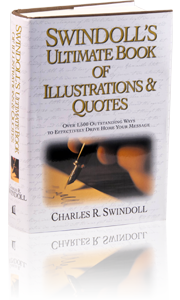 It includes a lifetime of Chuck’s favorite illustrations, quotes, poems, and more that will make biblical truths clear and memorable. The twenty-first-century church is eroding. 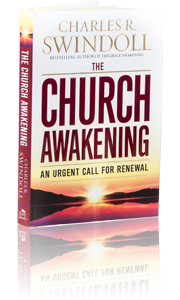 Seeking greater cultural relevancy, the church has drifted away from its dependence on the Bible. In far too many churches, worship is wispy, preaching is puny, and eternal impact is small. 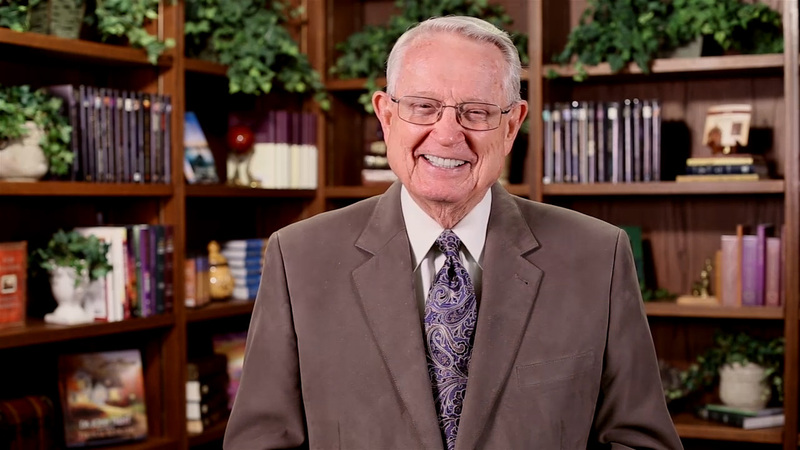 What does the church need? An awakening! Godly leadership is in short supply these days. Before cynicism sets in, resolve to be different. Determine to please Christ in how you lead, how you handle criticism, and how you weather the storms of moral corruption. 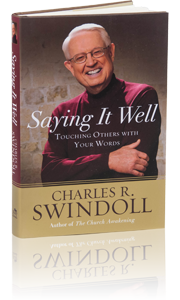 Chapters by Chuck Swindoll, along with practical, interactive chapters, allow you to get to the heart of leadership in this short but profound study. Ideal for personal study or small groups. Do you have a lot to say and need help saying it? If you want to communicate persuasively, Saying It Well: Touching Others with Your Words will help you craft your conversations so that people will listen.